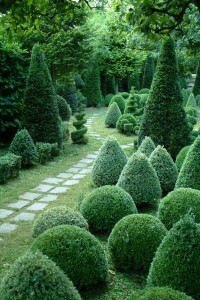 Home - What shape will you choose for your Topiary bush? 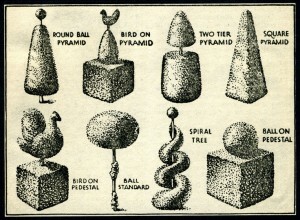 What shape will you choose for your Topiary bush? 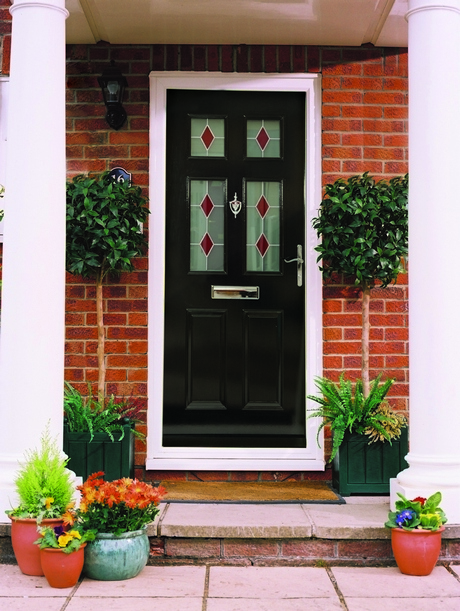 Have you ever thought that a tub of plants, lollipop shaped bushes or twisting spiral trees would enhance the area around your front door or give your home added kerb side appeal? Topiary trees or living sculptures have been around for centuries. They were popular between the 16th and 18th centuries and could be found in the grounds of grand residences of the rich and famous, offering a touch of glamour to the gardens of their time. 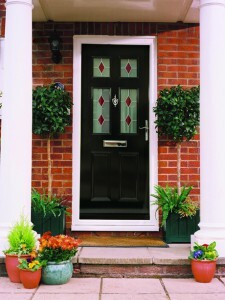 Lollipops stand either side of an Anglian front door with decorative glass. We decided to find out how easy it would be to create our own masterpiece. 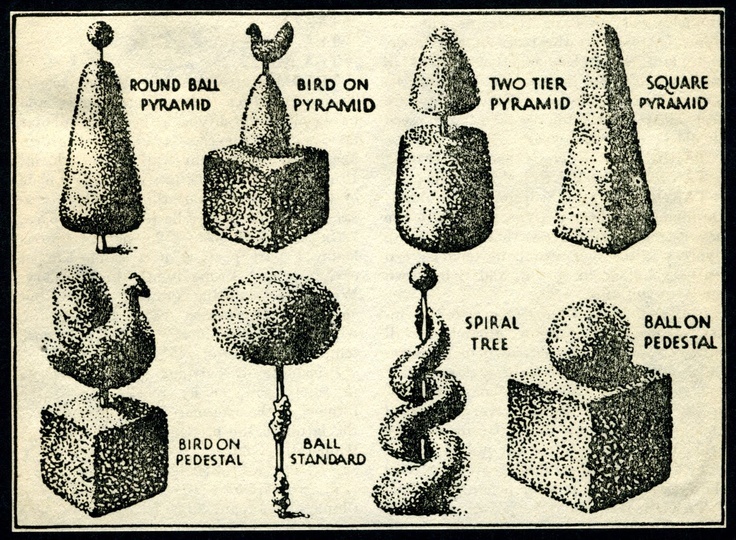 How do you make your topiary shape? Topiary is an old gardening craft that is achieved by clipping and trimming the foliage and twigs of shrubs and trees into a styled shape. The skill is keeping the plant trimmed in to the shape that you have chosen, whether that is a ball, an abstract form or an animal and is limited only by our imagination. It is more usual to use evergreen plants that have small leaves or needles; are woody and have compact or dense foliage. The variety of plants used for smaller pieces of topiary are Boxwood, Bay and Holly while for larger structures Privet and Yew are used. This is not an inclusive list and the plants used vary around the world. It is important to feed and water the plants regularly to promote healthy growth. 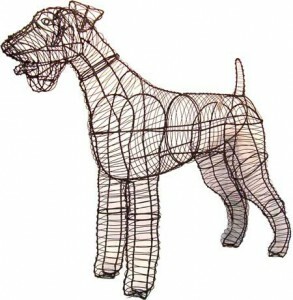 To achieve your chosen design, a wire cage is used to help form the shape. As the plant grows the twigs and branches are wired on to the cage/frame. As the plant grows the bush is then trimmed into shape according to the cage/frame. Remove any unwanted growth from the main stem of the plant. 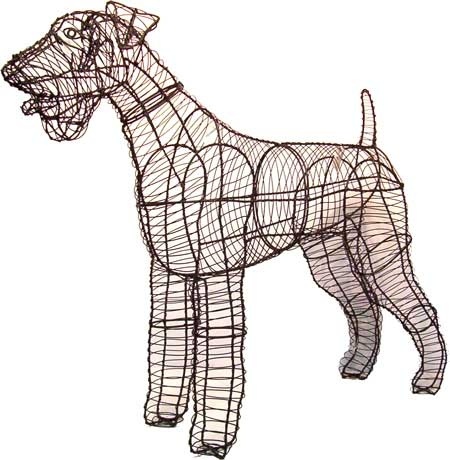 This cage/frame of a dog will support the plant as it grows. These lovely old topiary designs are more often than not seen in grand country gardens, halls and estates. 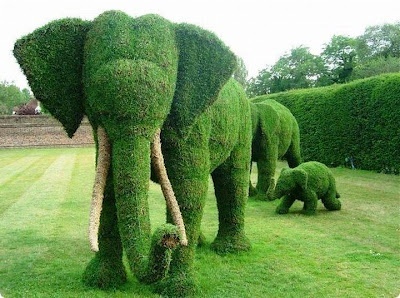 Depending on the size of the topiary sculptures they can be trimmed with scissors, clippers or for the very large designs an electric hedge trimmer. 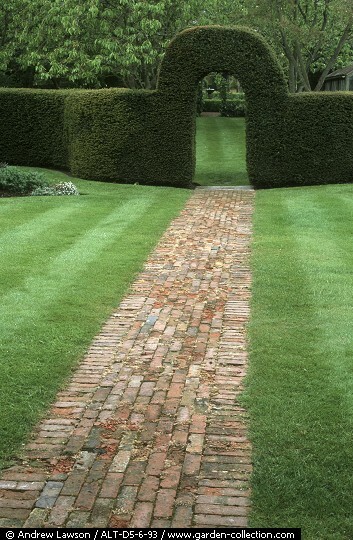 A hedge if trimmed regularly and kept tidy is a very simple form of topiary and can help to frame and define an area, act as a boundary and can create screen. 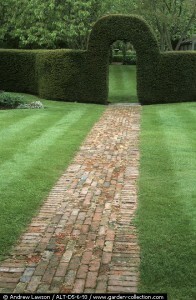 It is best to trim a topiary sculpture either: early in the morning, in the evening or just after it has rained. Always remember to clear up and take away the clippings and any dead wood. Be aware that cutting a plant during bad weather can severely damage its future growth. Depending on the size and design of your topiary bush, it can take many months or years to cover a cage and form the required design. If you do not have a lot of patience and like to see something take shape quickly then try using Ivy on a cage that can cover the wire form in a few months. 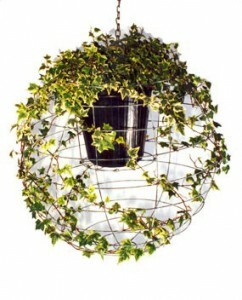 If you fancy having a go yourself, why not try this Ivy ball that we found on Urban gardening that looks quite easy to achieve?